At Website Monster, our team of graphic designers knows the nuances of creating an effective Brochure. Our team of creative designers remains focused on the task at hand. Busy with handling a single project at a time experts ensure our esteemed clients that they will enjoy the fruits of unlimited and single minded creativity without any interruptions. In short, a combination of several good brains at our company brings out some attractive designs. We are proud of curving a niche for ourselves in the segment of Brochure designing. The panel of webmasters at Website Monster has a great deal of experience in designing websites using different software, including Adobe Photoshop, Adobe Illustrator and Coral Draw. 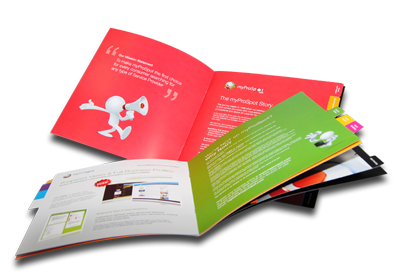 We at Website Monster strive to deliver a Brochure DESIGN that will define your business goals appropriately. Our highly experienced and dedicated team of designers spendsgood time on understanding your Brochure DESIGN NEEDS. Starting with a simple brief about your major requirements, our Brochure design process primarily involves constant communication with our customer regarding regular feedback and iterations. At our company, we make sure that the Brochure design created by uswill surely reflect the desired business image and the convey your message exclusively.